Why is transformation so important to companies? Companies need to do transformation because rather than keeping pace with the world around them, they’ve stood still while customers, competitors and technology have moved on. So changing the form (core business model), nature (products and services) and appearance (interactions with the people they care about) of their business are now necessary for survival. And helping companies to do ‘transformation’ is big business. The total size of the global transformation market is expected to grow from $445.4bn in 2017 to $2,279.4bn by 2025. The consulting component of a transformation programme alone is worth $44bn. 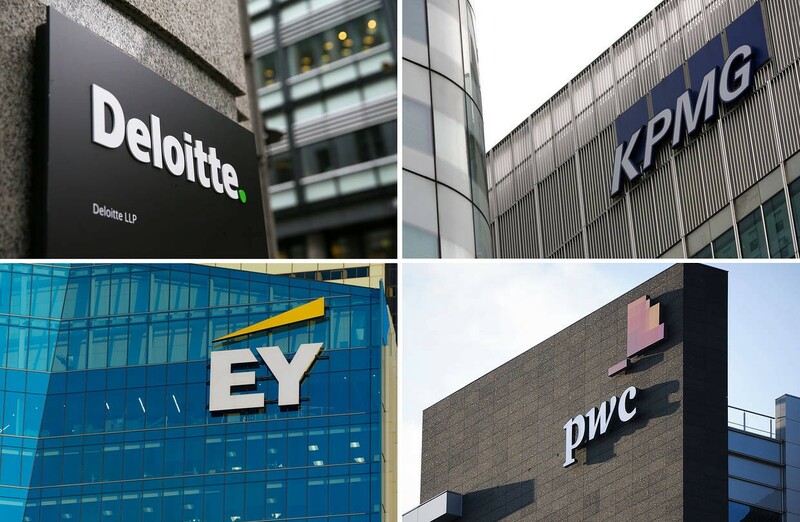 As a result, the likes of PwC, Deloitte, KPMG and EY have all reacted and developed their transformation capabilities. With all this money sloshing around then, there should be some transformation success stories — businesses who have radically changed their business models, products and services and how they serve customers. But there aren’t. Indeed, over 70% of transformation programmes fail. 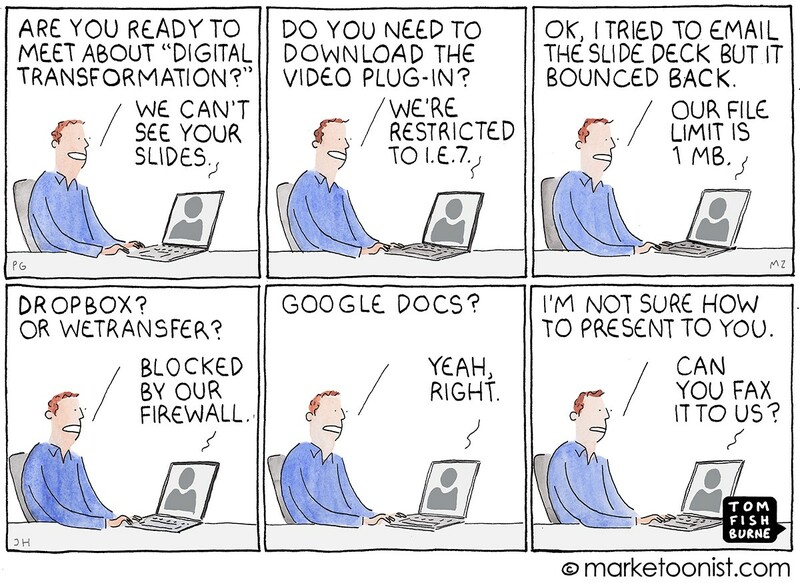 Some companies have digitised, but that isn’t a transformation, it’s an iteration. There are very few examples of corporations who have transitioned successfully to an entirely different business model, set of products or interactions with customers and employees. I think there are ten barriers in play. Most companies have no communicable vision for what their transformation programme is hoping to achieve. If the business doesn’t know what the desired end state of the company is supposed to be, how are you supposed to get there? There are no clear priorities. Even when a company knows where they are going, they have no idea what they need to do to get there, and in what order. It’s hard to rally hundreds or thousands of employees around a vision which means that fundamental change is coming. People don’t like change. They definitely don’t like it when it might result in their roles shifting or disappearing. Most executives don’t care about the company in which they work. They care about themselves and their careers, and this drives extreme short-termism. When there are monthly, quarterly or annual targets to hit, why would they be interested in the future of the organisation who happens to employ them? Not enough of the C-Suite lead transformation. Companies are big and slow. 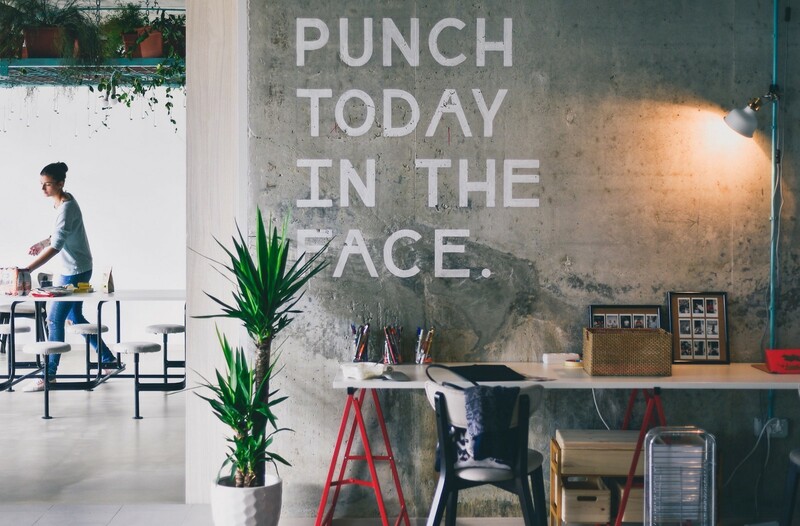 Making the things happen that need to happen to enable new business models, products and services or experiences to get to market take an inordinate amount of time. Today’s businesses don’t have the required talent in influential positions. They need senior people who understand customers, product development, systems architecture, culture, business modelling, how the internet works, prototyping, design, testing etc. Why would people with all of this talent and optimism join a company with none of it? Most big companies have terrible legacy systems that power their day to day operations. They are often disparate and to have those systems talk to each other would mean interrupting them which invariably, and for a good reason, nobody is willing to do. No matter how big a company is, they will never have enough money to change their business fundamentally enough. The bigger you are, the more expensive it is to change. That often leads to wild underestimations as to how much they should invest in transformation programmes. People in big companies aren’t there long enough to see a full transformation programme through. Tenures are a problem, because 2 or 3 years down the line there may be very few people at that company who have an appreciation of the original vision. If there ever was one. IT get involved a lot in transformation programmes and, being more comfortable with the technology they’ve procured and bastardised over the years, are keen to retain the status quo. And their jobs. So if this is the reality of most transformation efforts, understanding that the company needs to change but being unable to wade through all of these barriers to enable that evolution, then how do they to transform? I propose that big companies abandon the idea of transformation programmes altogether. The notion that you can change a corporation for the long-term sufficiently while it still has to deliver short and medium term value to shareholders is bonkers. It is like trying to rebuild a plane that is in flight. It’s too risky, too uncertain and let’s face it, too hard. Lent is an excellent time to kick this expensive, unproductive and stressful habit. What if, instead of trying to change the business they already have, they built, tested and iterated archetypes of the company that they should have? And what if they did this outside of the constraints of the mothership? This would undoubtedly a better way to achieve ‘transformation’. They could build a separate unit devoted to answering Tom’s question who use startup methodologies and are protected from the people, talent, process, technology and procedural challenges imposed on them by the existing entity. Companies could give the team the encouragement, budget and autonomy to discover new models, products and experiences and hire people who have a deep understanding of customer development, product/market fit and growth. They could have that team de-risk the development of new ventures by allowing them to work closely with the people they’re making stuff for in the first place. They could let that team build and scale new things in the way that a startup would. Iteratively. Making it ok to fail provided that failure is inexpensive, quick and that lessons are learned. The corporation could have a pot of ‘venture capital’ set aside and when this team find new business models, products and experiences — be the sole strategic investor in the growth of them. By working in this way, companies could stop guessing at what the future might look like and actually go and build it. They could prioritise more effectively because the approach would be inherently learning-based. They wouldn’t have to rally an entire company around an ethereal vision; they could just show people where they are heading instead. They would no longer have short-term protectionists in charge of the future of the company. They could move exponentially quicker because there would be far fewer dependencies. They could finally hire the right talent, people who are excited to be building the future rather than politicking around corporations. There would be no legacy systems they’d have to interface with. It would be far, far more cost effective to invest in things that there were being proven along the way. And it’s not an unreasonable manifesto. Nestle did it with Nespresso, Sky did it with Now TV, and British Gas did it with Hive. All of which are wildly successful companies now in their own right. The challenge once future-fit business models, products and experiences start to scale from his team is ‘what do we do with these successes’? What a nicer barrier to have. If you’re interested in kicking your ‘transformation’ habit, let me know. Managing Director (McCanniO.com). Speaker (bit.ly/2DiuABM). Writer (bit.ly/2DlqRSL). Author (bit.ly/2DfLEIc).